Big Week for Las Vegas Nightlife! You’ve had your TRYST, Now It’s Time for Some Intrigue. Last month Wynn Las Vegas announced the newest concept in Las Vegas nightlife, Intrigue. Announced during Tryst’s “Final Affair” industry party. 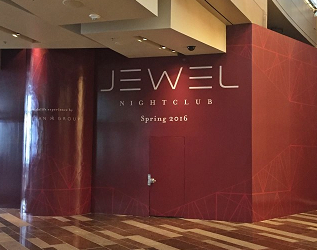 Intrigue will open in the space that was occupied by Tryst in April 2016 on Wynn Las Vegas’ 11th-anniversary celebration. Category: Las Vegas Nightclubs Comments Off on You’ve had your TRYST, Now It’s Time for Some Intrigue.